Rare ownership opportunity awaits in the prestigious Ranch at Forest Ridge community! Come live the close-in country-quiet lifestyle your family has always wanted. 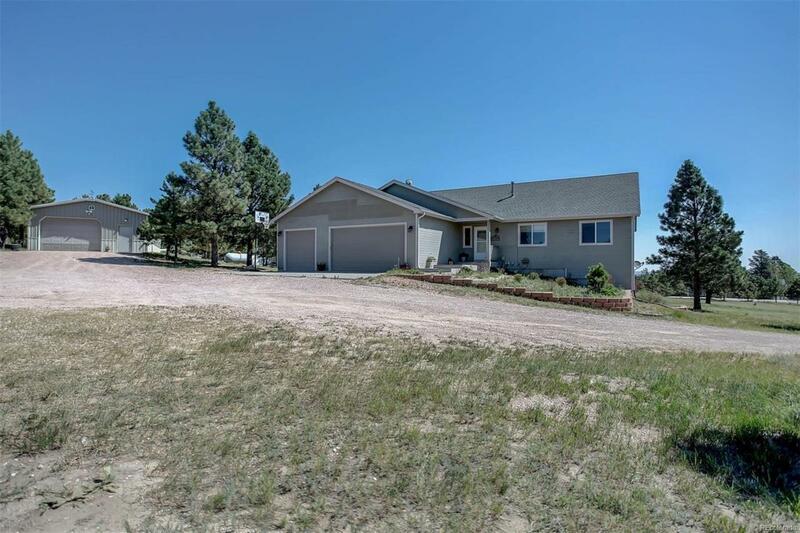 Pride of ownership is evident throughout this spotless 3600+ square foot, 5 bedroom, 3 bathroom walk-out rancher with 3-car attached garage and multiple outbuildings surrounded by towering Ponderosa pines on over 3+ meticulously maintained acres! Vaulted great room living at its finest!